The Globally Harmonized System (known as GHS for short) has introduced profound changes to the way North America as a whole classifies and communicates hazard information in the workplace and to consumers. The GHS is the creation of the United Nations in an attempt to unify and harmonize the various methodologies used by chemical manufacturers – and consequently anyone who uses chemical products of any sort – across the entire globe. This broad-sweeping endeavor rolled out a set of voluntary guidelines which provided in-depth recommendations for a standardized process for categorizing chemical material hazards, communicating those hazards through standardized GHS phrases and GHS pictograms, and most notably replacing the MSDS (Material Safety Data Sheet) with the new 16 section Safety Data Sheet (SDS). Because these GHS guidelines are strictly voluntary recommendations, any country is legally entitled to adopt whichever portions of the GHS it sees fit. Countries around the world have, over the past few years, rolled out their own versions of the GHS standards. In essence, the GHS has brought countries around the world closer together in how they classify and communicate material hazards, but there are still many differences in Hazard Communication Standards from country to country. This article will act as your guide through how these differences will affect North American Manufacturers in 2018 – a year that will see regulatory changes come in to effect that will change the way businesses in both the United States and Canada do business with each other. What 2018 GHS Regulation Updates Does Next Year Hold? When in 2018 Can I Expect GHS Compliance to Change? The timeline specified that that Canada’s manufacturers and importers must comply with the full WHMIS 2015 regulation for chemical hazard communication in 2018. From 2015 to 2018, Canadian businesses were given a 3-year GHS transition period to move from the older hazard communication standard to the new Canadian version of GHS compliance. This means is a few short months, any chemical manufactured or brought in to Canada will need to be WHMIS compliant. In regard to new information becoming available regarding a particular chemical or product, the supplier of said chemical or product will have 90 days, by law, to update their SDS. For a full breakdown of the GHS deadlines that you need to be aware of in 2018, we’ve prepared this article “Canada's GHS / SDS Adoption - The Deadlines That Matter”. This is worth repeating, lest you think your business won’t be affected: if you export chemical goods to Canada, you are required to author SDSs that meet WHMIS 2015 regulations. In essence, the United States is about to see some significant updates to how it labels, classifies, and sells chemical materials to a significant trade partner. What Will the New GHS SDSs Look Like Under New GHS Regulations? Because every country is different, GHS compliance in the United States is not an exact match for GHS compliance in Canada. Under WHMIS 2015, there are a few notable differences between the GHS standards and how Canada has chosen to voluntarily implement the GHS recommendations. Canada will be recognizing only two of the three GHS hazard groups: Physical Hazards and Health Hazards. This means that Canada has chosen not to implement the GHS’s hazard group “Environmental Hazard Class”. Therefore, there is no need to classify your product under the GHS’s categories environmental hazards such as Acute or Chronic Aquatic Toxicity. Canada is transitioning to use all of the official GHS “Purple Book” GHS pictograms (with the exception of the aforementioned Environmental classifications), which will bring Canada into alignment with the United States and many European countries. The Hazardous Products Regulations will also introduce the Health Hazards Not Otherwise Classified class, which are new to Canadian WHMIS regulations. Canada’s labelling requirements and regulations come with a handful of container labeling exemptions that do not necessarily align with American regulations. Otherwise, Canada’s hazard communication standards will require chemical manufacturers to provide a 16-section Safety Data Sheet that follows the guidance of the GHS Purple book. It uses the standardized GHS pictograms, GHS hazard phrases, and signal words. Aside from some of the key differences mentioned above, this shift from the MSDS format in Canada to the SDS document system will largely follow the same process as was seen in the United States when the US HazCom 2012 implemented GHS standards. 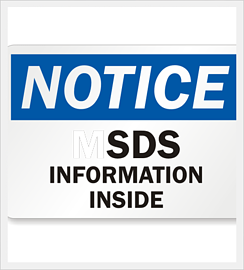 For a more comprehensive look at what the upgrade from MSDS to SDS will look like for Canadian Safety Data Sheets, we recommend you read this article “Upgrading to the GHS: From MSDS to SDS”. The Globally Harmonized System (GHS) should be understood as being about more than just changing the way you author Safety Data Sheets – the fundamental goal is to increase workplace safety. An SDS is meant to be the most effective way to communicate with your employees and customers about the safe handling proceeds for your product, give them at a glance information, and reduce the risk of injury or incident during an event. When authoring your SDSs or secondary container labels, keep in mind the intent and purpose of your hazard communication. 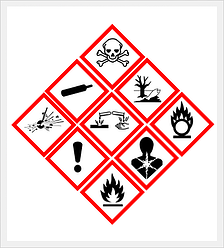 Employees must know how to read an SDS and decipher it’s GHS pictograms and hazard phrases. (Check out "How to Read an SDS: Understanding your Safety Data Sheets (SDS) for Safe Handling" for even more details). SDSs must be available and on hand for any employee at risk of exposure in the workplace. A workplace must provide SDS and secondary container labeling training to its staff prior (or at the time of) an employee working with a hazardous chemical. Under OSHA, if an employee is not capable of understanding verbal English as part of their SDS training, they must receive verbal training in an appropriate language. (According to OSHA 29 CFR 1910.1200(h)). If you are solely focused on creating SDSs, you’re not addressing the full scope of your GHS regulatory responsibilities. You’ll also need a plan for SDS management protocols, including a methodology for sharing SDSs with your staff and dealing with SDS revision tracking. We recommend, in addition to the traditional paper SDS system, you look at using digital versions of your SDSs. This makes it much easier to search for a specific SDS in your library, to share SDSs with emergency responders, and to create permission-based limits on who can access your SDS library. Read more about how SDSs help in an emergency situation here: “Everything You Need to Know About Safety Data Sheets (SDS) in an Emergency”. As an added benefit, digitizing your SDS library allows you to access them from a mobile device like your tablet or smart phone. ERA provides a full SDS Finder App for iOS and Android devices, which lets you locate the SDS for any material in your facility – it’s free to anyone using ERA’s SDS Management software, and uses the same secure login credentials. Who is Affected by 2018 GHS Regulations? Across North America, the adoption of the United Nation’s Globally Harmonized System (GHS) has affected and will have a further impact on any business that manufactures, produces, and/or distributes chemicals to either the United States or Canadian markets. In addition, any employer that purchases, stores, and/or uses chemicals on site – as well as the employees using those chemicals – will feel the effect of North America’s adoption of GHS standards. Suppliers of chemicals will need to author GHS-style Safety data sheets, which involves performing GHS-compliant classifications and generating labels and container labels. Employers must provide training to all staff about understanding SDSs and ensure that chemical hazard labels are made available to staff who could be exposed to a chemical safety or health hazard. Employees must participate in GHS and chemical safety training programs, and be able to demonstrate an understanding of safety data sheets, proper handling of hazardous materials, and exposure response. Above this basic level, GHS adoption for North America will also affect emergency responders, transportation professionals, and consumers of household chemical products. However, these categories generally fall outside the scope of responsibility for the majority of the chemical industry under most business models. What Risks Does the GHS Hold? 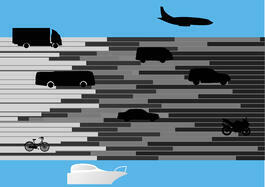 How Are American Companies at Risk from GHS? While the GHS is designed to reduce risk, from a business perspective these changes to North American GHS compliance regulations introduce compliance risks that could result in fines from your health & safety regulator. The primary risk to your business is that an SDS authored for one country may not be applicable in another, resulting in your product being barred from purchase or use by your existing clients. A straightforward example of this is in regard to Canada’s language requirement being a barrier to US exporters; if you aren’t able to provide a French-language SDS to a Canadian client, your product won’t be a compliant option. Differences in container labels and a different set of exemptions. Biohazardous Infectious Materials – American SDSs do not need to include this information but Canadian law regulates this category much more stringently. Carcinogenic material labeling - Canada and America use different concentration thresholds. Different timelines for SDS authoring implementation – which will affect when you need to provide updated SDSs. The best practice for GHS compliance in this instance is to implement an SDS authoring program that gives you repeatable and on-demand SDS authoring according to multiple sets of protocols – for instance, having the ability to choose whether to include biohazardous infection material hazard categories and determinations in your final SDS product. What Action Do I Need to Take for GHS Compliance in 2018? The best time to develop an action plan for GHS compliance is now. Your goal, at its core, is simple: acquire the ability to author safety data sheets that meet the GHS standards as they’ve been adopted in both the United States and Canada. Your first step is to understand the fundamental GHS classification system and its hazard categories. The industry standard for both America and Canada is the UN’s Purple Book guide. However, when reading through the guidelines for classifications and guidelines, you’ll want to be aware of the subtle differences between both nations’ implementations. For a helpful GHS best practice on ensuring your SDSs are authored properly, check out this article: “GHS Hazard Classification, Pt 2: Classification and Reliability”. It outlines on of the fundamental steps many SDS authoring professionals forget to include. Once you’ve done your fact finding, it’s time to put your nose to the grindstone and start preparing versions of your SDSs that comply with Canada’s WHMIS 2015 standards. 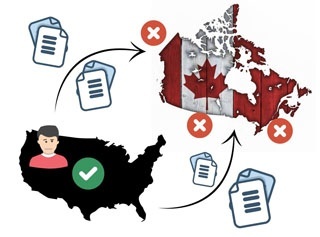 If you are an American business, you may first want to assess which products are ever exported to Canada and prioritize the re-authoring of those SDSs. If you are a Canadian business in the chemicals industry, you will need to author new SDSs for all of your chemical products. Many businesses are missing the capability to author SDSs in house. It’s common for the chemical industry to employ a third-party/external consultant to help them create SDSs. However, this amounts to a one-time fix that won’t address the inherent challenges of regulatory change. If you are otherwise affected by the GHS implementation deadlines in Canada, such as being an employer, now is also the time to start preparing your SDS management and SDS training program. Although it may seem like you have ample time to be in complete compliance with GHS standards, you may start receiving SDSs from your chemical supply chain well before you have time to build an SDS training program. Author a complete 16-section SDS in 5 minutes or less. Select which country’s GHS standards to apply to your SDSs. Apply templates to your products for easier authoring. Automatically track revisions and reauthors. By using an SDS authoring solution, like the one developed by ERA’s team of GHS specialists and chemical engineers, you can author any number of SDSs on demand, without the aid of consultants. Why Did North America Implement GHS Standards? Across the globe, a significant number of countries have adopted the Globally Harmonized System for chemical health and safety hazard communication. North America is no exception. For both Canada and the United States, the primary aim of the GHS adoption is the promise of reduced workplace injuries and incidents, thanks to clearer and simpler chemical hazard classifications. Before adopting GHS as a national standard, even within a country, regulations may have varied from region to region. This is costly for both governmental bodies to enforce and companies to comply with. At the bottom line, this can cause a mighty headache for workers to understand and keep up with all of the moving parts, whether regional or international. The GHS was developed to eradicate any doubts surrounding workplace chemicals which may pose any hazards to workers and/or the environment. Canada’s implementation of the GHS has promised to enhance the health and safety of workers in Canada, facilitate trade with the United States of America (which has been GHS compliant as of 2012), and enhance the success of Canadian suppliers in the competitive international market of hazardous materials. Also in accordance to the GHS implementation, Canada will also be fulfilling its commitment to the Canada-U.S. Regulatory Cooperation Council (RCC), which is to align and synchronize the common classification and labelling requirements for workplace hazardous chemicals. All of which are beneficial to both businesses and their employees. Read more about the move to GHS compliance across North America: “SDS Authoring - Canada's Move Towards GHS Adoption”. 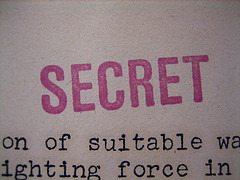 What if My SDSs Contain Confidential Business Information? For many businesses, the switch in Canada to the GHS will introduce the risk of needing to disclose chemical component information which should be considered Confidential Business Information (CBI). This may be the case for proprietary blends which are otherwise irreproducible by your competitors. The Globally Harmonized System, as it has been implemented in North America, makes allowances for CBI claims in order to protect your business without adding health and injury risks to your workplace. A French translation of chemical names. A full claim package submitted. An industry-prescribed concentration range that the actual concentration falls within (ranges can be found published here). However, carcinogens, mutagens, reproductive toxins, and respiratory sensitizers (CMRRs/CMRs) may not be allowed to be protected by CBI claims based on a Notice of Intent from Health Canada. In the United States, OSHA also allows for CBI / “Trade Secret” claims that follow OSHA provisions. A U.S. chemical manufacturer may provide an ingredient concentration range on their SDSs instead of fully disclosing the exact chemical concentration – if this option is taken, the manufacturer must indicate on the SDS is providing a range due to a Trade Secret. A notable risk you should be aware of is that Canada and the United States have a very different approach to CBI on Safety Data Sheets: in Canada you cannot provide a general chemical range without filing a CBI claim, and therefore American chemical exporters need to be on top of ensuring they are compliant in both countries. An essential part of GHS in North America is the potential to increase trade between the United States and Canada through simpler export and a unified methodology for shipping goods safely. To facilitate that, the GHS provides UN guidelines for proper GHS shipping labels. If you export chemical materials or other consumer goods requiring an SDS, it’s up to you to ensure you are providing the correct GHS shipping information. That the shipping label meets the criteria for both the originating country and the destination country. (For example, shipping to Canada requires a label with both English and French). The proper UN Shipping number is associated with each product being shipped. 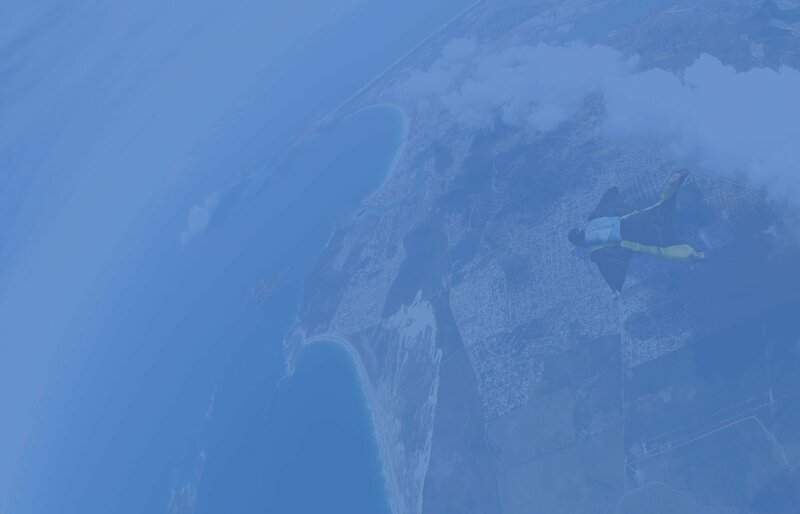 For more on this topic, read “GHS Turbulence Ahead: Transportation and Shipping Concerns in SDS Authoring”. 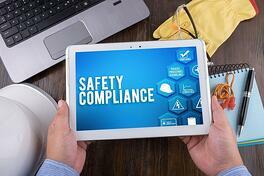 Clearly, there are numerous elements to be cognizant of when it comes to GHS compliance. From dealing with multi-national chemical safety regulations, multiple SDS authoring languages, OSHA training requirements, shipping, to protecting confidential business information about your blends (and more), GHS compliance represents a shifting regulatory landscape taking place in North America. While there’s no blanket solution to every aspect of GHS compliance, the manufacturing industry has always been on the cutting edge of new best practices for efficiency. In particular, automation has been a fundamental approach for smarter use of resources and effort. Today, GHS compliance can become a largely automated process with the right knowledge and capabilities. GHS provides a comprehensive and detailed list of protocols for chemical classification which require minimal human input – meaning that SDS authoring can be completed with an automated logic rather than having a chemist crunching numbers manually. 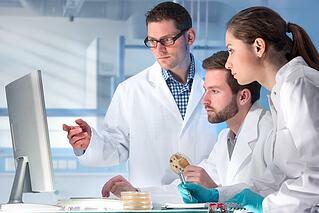 GHS compliance automation is now a reality – and for many businesses, a necessity. In fact, ERA SDS Authoring software creates a complete 16-section safety data sheet in under 5 minutes, using an innovative template approach and our built-in comprehensive Master Chemical List containing the complete GHS classification protocols for the U.S., Canada, and the European Union (among others). An additional benefit is once you have all your SDS information centralized in one database or system like ERA’s you can automatically create shipping labels or create a compliant SDS in another language or according to a different set of GHS guideline implementations. 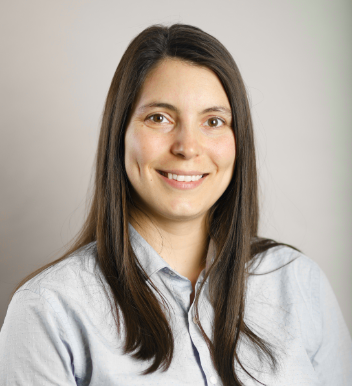 Alexandra is a GHS Regulatory Specialist at ERA and head of the SDS Management Team.